Class-leading cabin space in the '09 Sonata comfortably accommodates four adults, while a newly updated interior and long list of standard equipment add a touch of luxury at a price young families can afford. Those looking for an exterior with personality or tighter sport handling might want to give the '09 Sonata a pass. The '09 Sonata should start to worry Honda and Toyota, as it continues to improve on its comfort and convenience features while maintaining a lower pricetag. The higher-end interior should please single drivers, but Hyundai also keeps families in mind, offering a generously sized cabin and trunk and a top-notch safety profile. Hyundai's flagship sedan has seen sales slump over the last few years, despite a market trend that favors family-size sedans over SUVs. The 2009 Sonata reacts to this challenge by going through a major redesign, specifically to its cabin, suspension, and powertrains. Classified now in the large sedan category, the revamped Sonata easily competes with and sometimes surpasses rivals such as the Accord and Camry, offering more standard features and cabin room at a lower price. Though it still lacks their refinement and lags behind in horsepower, the '09 Sonata represents a good choice for drivers seeking upscale cabin comfort without breaking the bank. Minor tweaks to the front fascia include a larger grille and more angular headlights, but the most noticeable improvements appear on the inside of the front-wheel-drive Sonata. Upgraded materials include alloy trim and softer plastics. A new center stack feels more modern and streamlined. The Sonata has added an MP3 jack and wheel-mounted cruise and audio controls on all trims, along with a new optional touchscreen navigation system on the top-line Limited. Front seats gain width and length for improved driver comfort. A new four-cylinder and tweaked V6 engine improve horsepower and fuel efficiency numbers, and the midline SE receives a retuned sport suspension. Larger anti-roll bars, a revised front subframe, and standard electronic brakeforce distribution improve on the '09 Sonata's already high crash test scores. The 2009 Sonata comes in GLS, SE, and Limited trims. Known as the most affordable sedan in a class that includes the Accord, Camry, and Altima, the Sonata holds its own against these three in terms of standard equipment and passenger comfort. Base GLS trims are impressively loaded, while the Limited takes styling cues from Lexus. Higher mileage ratings, combined with a low pricetag and Hyundai's 10-year/100,000 mile powertrain warranty, make the '09 Sonata a great buy for those wanting to save money without sacrificing quality or comfort. Some of the Sonata's lagging sales may have been caused by its underpowered engines. Hyundai responds by upping horsepower in both its four- and six-cylinder engine choices. The new Theta II 2.4-liter inline four jumps 13 horsepower, putting out 175 hp and 168 lb-ft of torque. Equipped with variable valve timing on both its intake and exhaust shafts, fuel economy also jumps a few points to 22/32 mpg, though some drivers report highway numbers into the mid-30s. 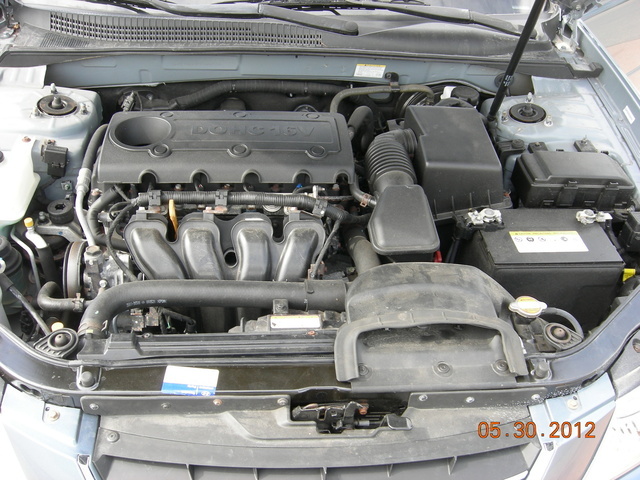 The four-cylinder actually leads its class in fuel economy standards and classifies as a PZEV vehicle in California. Available transmissions include a 5-speed manual and a new 5-speed automatic that replaces the old 4-speed. A tweaked 3.3-liter DOHC V6 now puts out 249 hp, up 15 from last year, and 229 lb-ft of torque. It comes only with the revised 5-speed automatic, but lacks the sport mode and paddle shifters found in some of its rivals, an aspect some critics miss in the sportier SE. 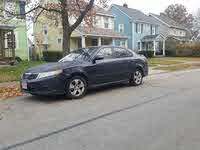 Its mpg ratings have also increased to 19/29. While neither engine will win any races, both pack an energetic punch sufficient for confident highway merging and passing. Both drivers and reviewers find the four cylinder offers responsive acceleration on the highway, but not particularly quick off-the-line response. Horsepower in the '09 Sonata's V6 still falls below that in the Accord and Camry's six-cylinder trims, but test drives prove it's powerful enough for the everyday driver not particularly looking for fun and excitement behind the wheel. Some owners desire a few more ponies, along with an extra gear. The '09 Sonata handles like most mid- to large-size sedans, with a soft, floaty road feel and vague steering that offers little driver feedback. Owners appreciate its smooth and quiet ride, comparable to an Accord's, with several saying they find it hard to tell the difference between the two. Handling feels precise and solid, with less noise and vibration than previous models, thanks to a retuned double wishbone front and multilink rear suspension. The SE gets a sport suspension this year, but reviewers find the ride only slightly more controlled and body roll minimally reduced compared with the regular suspension. Those looking for a truly sporty feel should consider the MAZDA6 or Nissan Altima. The stiffer suspension adds noticeable firmness to the ride without harsh impact over bumps and city roads. Owners and critics agree that the redesigned interior of the '09 Sonata brings it up to par with the higher-end and more expensive Accord and Camry. Its class-leading volume (121.7 cubic feet) and 72-inch-wide stance offer substantial head, shoulder, and legroom for both front and rear passengers, even those over 6 feet tall. Rear seats split-fold 60/40 onto a large 16.3-cubic-foot trunk, whose storage capacity impresses owners. Rear passengers get over 37 inches of legroom, and even with the front seats pushed back, one owner reports his knees never touch the back of the seat. Front passengers get nearly 44 inches of legroom. Tilt and telescopic steering is standard on both SE and Limited trims, and the center stack has been streamlined with easier-to-reach controls outlined in blue/black lighting. The addition of standard alloy trim offers a sleek, stylish look to the package, and more soft-touch materials in the cabin represent a significant improvement over the hard plastics of old. 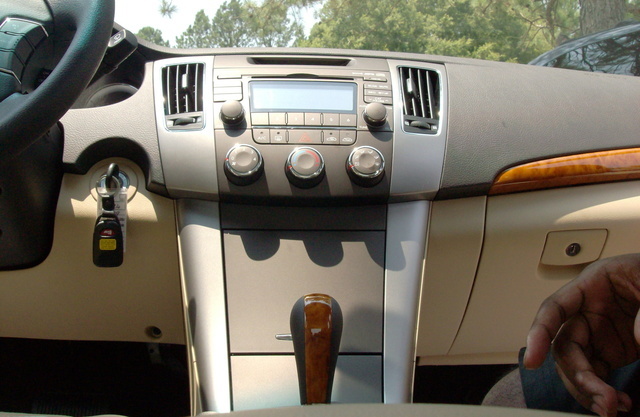 Some drivers mention that the blue-lit gauges can be hard to read in bright sunlight. Front seats have been made wider, with longer cushions set at an angle more conducive to driver comfort on long trips. Both SE and Limited trims feature an 8-way power driver's seat, which is optional for the base GLS. Owners point out what they feel is a glaring oversight – no available power passenger seat, along with the lack of power window controls on the passenger side, leaving the front passenger at the mercy of the driver. Many owners feel the addition of rear air vents would also improve overall cabin comfort. For under $20,000, the base GLS comes impressively packed with standard features, comparable to the Accord and Camry, but at an attractively lower price. Power windows, locks, and heated mirrors, wheel-mounted cruise and audio controls (new this year), remote entry, a CD player, and a new MP3 input jack offer sufficient convenience and comfort for the average driver. 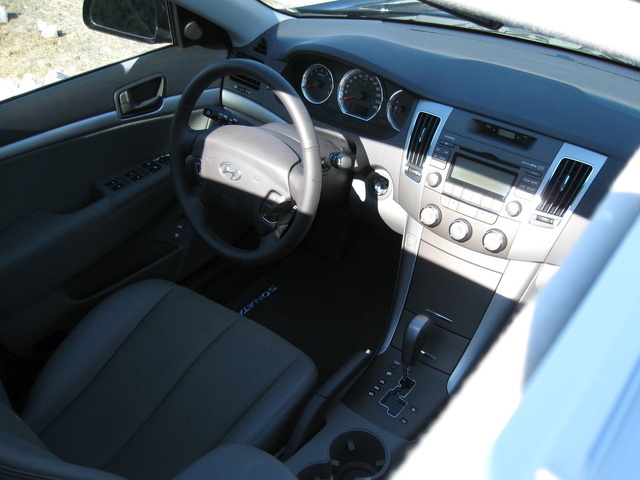 The sportier SE adds the power driver's seat, leather trim, and a trip computer. Performance-oriented attributes include a sport suspension, dual exhaust tips, a rear spoiler, foglights, and 17-inch alloy wheels. Falling into the luxury category, the Limited adds a sunroof, heated leather seats, new dual-zone climate control, a 6-CD changer, and a sliding front armrest, most of which comes optional on the rest of the lineup. However, the new touchscreen navigation system is available only for the Limited. Hyundai has come a long way in boosting its reputation as a safe, reliable, and durable automaker. Once derided for its cheap price and even cheaper looks, the 2009 Sonata now consistently wins top marks in crash tests, earning five stars in both frontal and side impact from the NHTSA and a Good rating from the IIHS. A strong safety record and long list of standard safety equipment is often cited by owners as an important factor in their buying decision. Four-wheel ABS brakes come paired with electronic brakeforce distribution this year, providing good braking control overall. 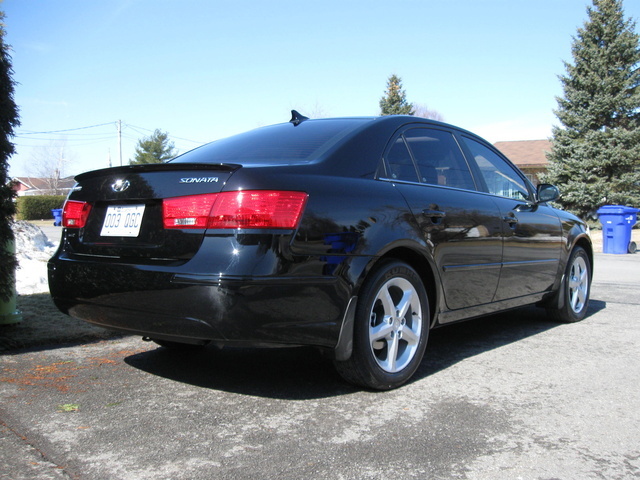 Unlike many sedans in its class, the '09 Sonata includes standard traction and stability control in all of its trims. A larger and stronger front stabilizer bar this year helps mitigate crash effect, and a reworked front subframe provides sturdier resistance in frontal impacts. Dual front, front-side, and side curtain airbags keep front passengers safe. A tire monitor for both the base 16-inch wheels in the GLS and 17-inch ones in the SE and Limited is standard, and automatic headlights are included in all but the GLS. 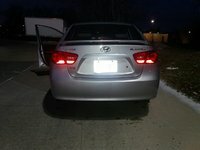 Owners of the '09 Sonata feel like they have put their hands on a real bargain, as yet unknown to many drivers who still see Hyundai as a cheap-rate Korean automaker. For a lot less money than its Japanese competitors, the Sonata offers a long list of standard features, great fuel economy, and a can't-be-beat powertrain warranty. They rave about the upscale look and feel of the new '09 Sonata interior, citing its spacious cabin, large trunk, and high-quality finish. Drivers like that it looks more expensive than it is and say the handling is just as smooth and precise as the Honda Accord's. On the downside, the vague unweighted steering disappoints SE owners wishing for a bit more sport performance. Many drivers desire more V6 punch and power, and several worry about the Hyundai's resale value, given its former reputation. CarGurus owners generally agree with these sentiments, praising the '09 Sonata for its cabin and trunk space, refined and updated interior, and tight handling. Their primary complaint focuses on the less-than-thrilling exterior appearance, despite the minor upgrades to the front end. 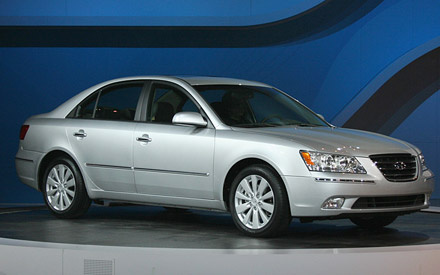 What's your take on the 2009 Hyundai Sonata? 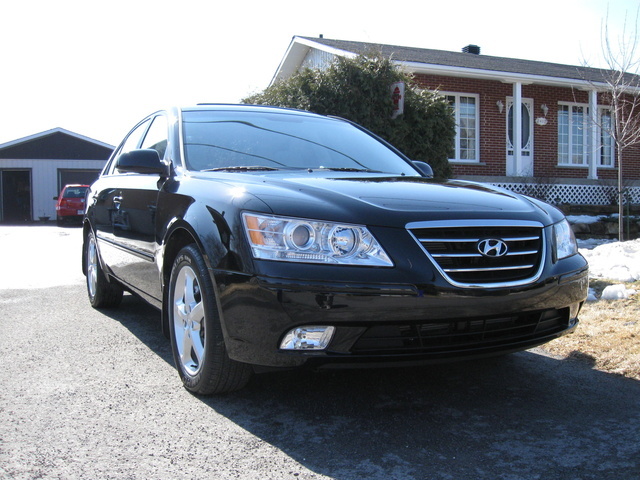 Have you driven a 2009 Hyundai Sonata?